State transportation officials say that as the budget impasse continues in Washington, there is growing uncertainty around hundreds of millions of dollars in contracted projects that provide thousands of jobs in Maine. Maine has a relatively short construction season, and acting Transportation Commissioner Bruce Van Note said that means contractors are already working on bids. In a normal year, the department would start soliciting bids in February and issue contracts in March for work this spring and summer. But Van Note said that could play out differently if Congress doesn’t pass a transportation budget by March. “We will need to consider stopping all bidding and awarding of contracts. Again, that’s our peak season. There would be impacts right then because our construction season is short, there are environmental work windows, so the disruption could last weeks, months, even a year,” he said. Van Note said the department has never witnessed a shutdown lasting this long, so it’s in uncharted territory and will have to plan for the worst. Maria Fuentes, executive director of Maine Better Transportation, which advocates for improvements in roads, bridges, airports, ports and rail, said contractors are also nervous as they prepare to bid on a wide range of projects across the state. “In terms of getting ramped up for the season and hiring people and planning the season, if those goes on too much longer, it could have a real critical impact,” she said. 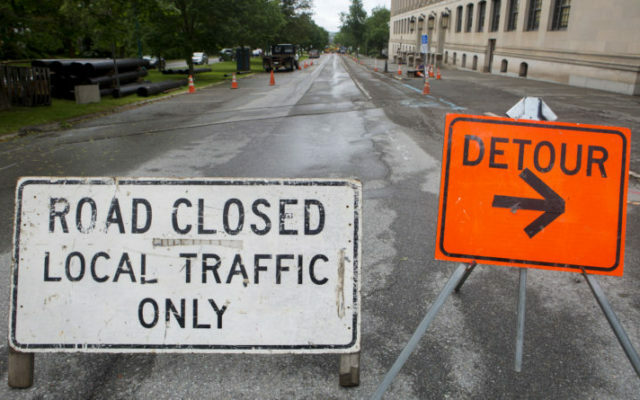 Fuentes said more than 9,000 workers in Maine are employed fixing roads and repairing bridges, and they have a big effect on the state’s economy. She said one study indicates that more than $110 million in taxes are paid by construction workers. Van Note said he’s concerned that that some state projects may cost more if the budget stalemate continues. “Uncertainty means more risk and risk translates into higher bids,” he said. If that happens, Van Note said the state may not be able to undertake all the contracts it had planned for this year. Fuentes said Maine already has a backlog of needed repairs and reconstruction. And after Congress ends the budget impasse, they still have work to do to allow states to fully access federal highway funds. The amount that can be drawn from the federal highway fund was not increased last fall, and that is governed by legislation that is separate from the budget.